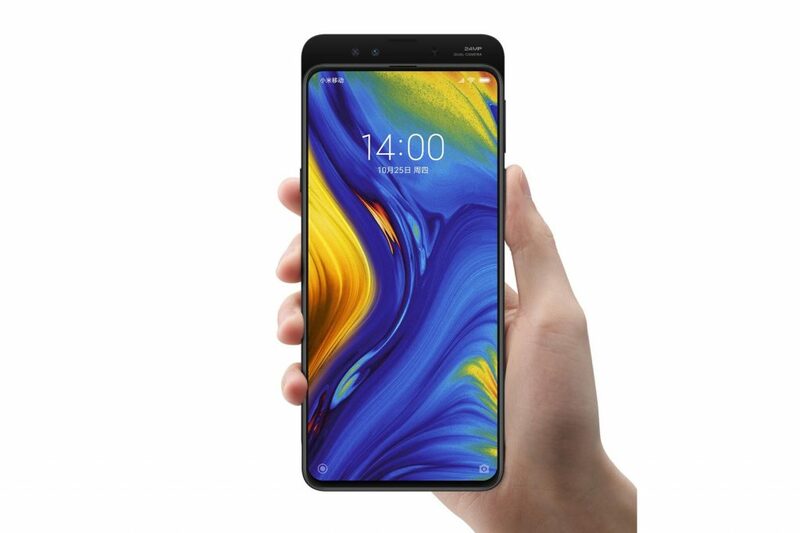 Xiaomi Announces Mi Mix 3 its new full screen flagship phones. It comes with a huge screen of 93.4% screen to body ratio achieved by hiding the front-facing cameras on a sliding mechanism. The lack of notch on this 6.3-inch FHD+ AMOLED display is easily the most striking aspect of the entire device. There is one thing which is odd about this device is the camera module which isn’t mechanically movable.It instead works like older slider style smartphone. You just slide up and the camera module appears, we assume that this will improve the longevity of the mechanism and reduce any potential weak spots. Front Camera – 24-megapixel + 2-megapixel. Resolution – 1080 x 2340 pixels. Rear Camera – 12-megapixel + 12-megapixel. 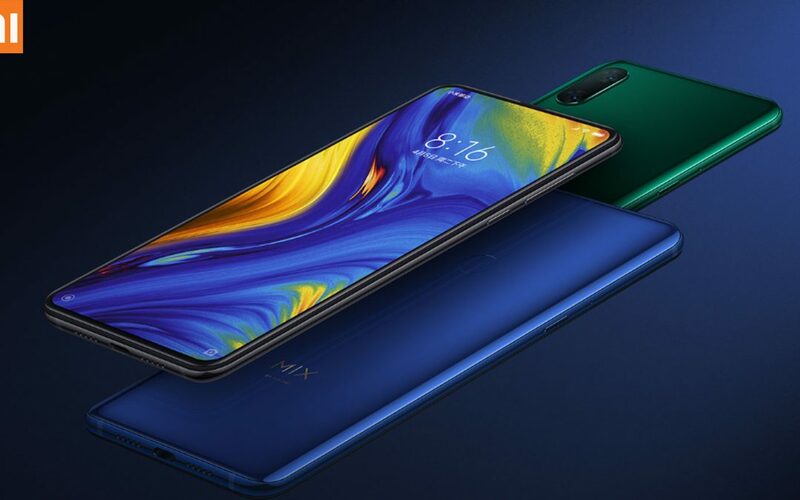 The Xiaomi Mi Mix 3 will be available in three color options: Onyx Black, Jade Green and Sapphire Blue. 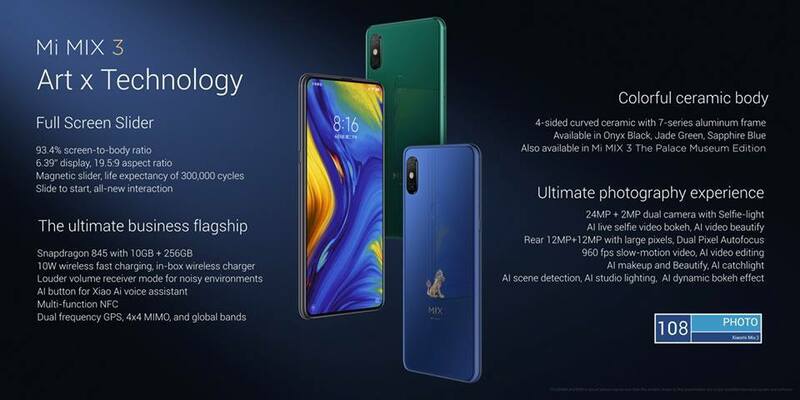 As for pricing, the Xiaomi Mi Mix 3 will start at 3,299 yuan (~$475) for the 128GB/6GB RAM variant, with a 256GB/8GB RAM variant costing 3,999 yuan (~$575). For those interested in that 10GB RAM variant, well, that comes with a special ‘Forbidden City’ option. This packs in 256GB of onboard storage and 10GB RAM and costs 4,999 yuan (~$720). Pricing for other markets will be announced in the very near future.